Chili's is celebrating Halloween with a FREEBIE. 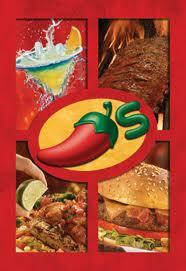 Through October 31st, you can score a FREE Appetizer or Dessert at Chili's. This would be a hard FREEBIE for me to pick as I LOVE the Chips & Queso Appetizer and the chocolate Molten cake. Yum! Reminder: one of the awesome features of Chili's coupons is that you don't have to print them and can simply just show them on your electronic device.